Some degree of consciousness exits in everything, because everything is some form of Spirit, and Spirit is Intelligence. 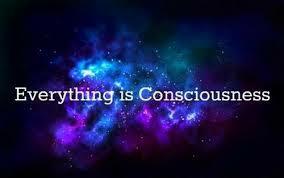 However, there are degrees of intelligence, or consciousness. I’ve heard it said that “Consciousness sleeps in mineral life, dreams in plant life, awakens in animal life, and comes to self-consciousness in man.” Man, then stands at the peak of the evolutionary climb. He is now a self-conscious individual which means that he not only knows but knows that he knows. He can think about his own consciousness, and he now has the power of choice-the very summit of his upward striving. Evolution, through infinite ages, has done much for mankind. Now, however, if he is to continue to progress, he must take things in his own hands and choose to continue to climb. From now on, he ascends because he himself has chosen, individually, to do so. In order to bring this to pass he must get it clearly in mind that there is no separation between him and God. Remember, all is Spirit. This entry was posted on Tuesday, July 8th, 2014 at 11:36 am and is filed under Born Rich Learning System. You can follow any responses to this entry through the RSS 2.0 feed. You can leave a response, or trackback from your own site.